The Olin 124 Computer Lab contains 30 Dell OptiPlex 9030 AIO's plus one located on the teacher's lectern, each loaded with Ubuntu 18.04 LTS. Each computer has been named after an influential computer scientist in honor of their contribution to the field of computer science. The desks hold two machines that are equipped to do paired programming via a USB switch located in between the devices. The computers are stored inside the desk via a hydraulic lift for easy access and storage. The Olin 228 Computer Lab is a smaller lab that contains 16 Dell OptiPlex 9030 AIO's plus one on the teacher's lectern, each loaded with Ubuntu 18.04 LTS. Each computer has been named after an influential computer scientist in honor of their contribution to the field of computer science. The desks hold two machines that are equipped to do paired programming via a USB switch located in between the devices. The computers are stored inside the desk via a hydraulic lift for easy access and storage. 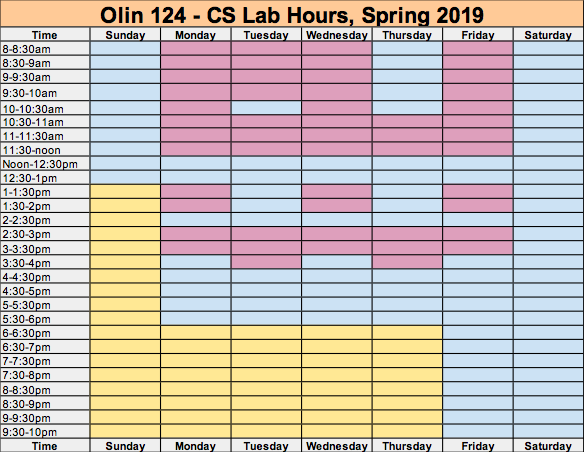 Who's in the Olin 124 Lab? 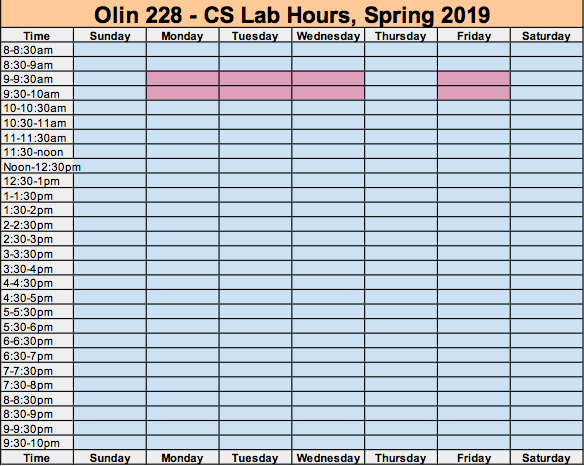 Who's in the Olin 228 Lab? Whitman College Computer Science Department 2018 - . All rights reserved.